Rotel RA-931 and subwoofer. How to proper connect them? I recently bought a Mordaunt Short Avant 309i Subwoofer that has 2 RCA inputs to connect from the amplifier. My Amp is a Rotel RA-931 that has no dedicated subwoofer out. My solution was to connect the sub from the tape deck out. Every time I raise the volume in the amp, the volume on the sub stays the same and has to be raised manually. I put a record in the TT, and then have to find the right balance between the Amp and Sub volume. Is there another way to connect them together with volume knob controlling both devices? Should I use a device to convert high impedance speaker level to Low Impedance signal and connect to the speakers out? Thanks for all the help to this newbie! I tried to find a thread in the forum to answer to my question but didn’t find one. If such thread exists, please link to it and ignore this post. Re: Rotel RA-931 and subwoofer. How to proper connect them? You need an amplifier with either a dedicated subwoofer output, or a variable preamp output. The other alternative is using a subwoofer with speaker level connections. used with the "remote speaker"-outputs of the Rotel amp. ...or use the remote speakers output? I ask this because I don't know much about amps impedance management. And yes, I'm a Reservoir Dogs and Tarantino fan! SPEAKER and LINE LEVEL outputs are TOTALY different, with different voltage levels. Adapters are needed to match the differences. I know that speaker levels have a higher voltage. I was suggesting those plugs to connect the "high level to low level converter" from the speakers out (as suggested by user themisto462). Do you think I shouldn't use this "high level to low level converter"? Mr_Orange, my thought was to connect your main speakers to the "Direct Speaker"- outputs and such a high/low level converter to the "Remote Speaker"-outputs. But the point with the speaker impedance that you mentioned is indeed a bit concerning, so I've made more thoughts. I've read in another post, that you have the B&W DM302 speakers, right? The B&W DM302 speakers seem to have only a nominal impedance of 3.2 Ohms and for a setup with both used speaker outputs of the amplifier, this would be probably problematic, as the recommended minimum speaker impedance is stated 8 Ohms for the "Direct and Remote"-mode. The added together impedance for both outputs could be way to low. Some amplifiers can handle a too low impedance and some can not - what could lead to a damage. To be on the safe side, you should take a look for a amplifier with a subwoofer output or a subwoofer with a high level input, as Spinner45 suggested. Pro-ject RPM Genie 1.3 turntable with Audio-Technica AT95E, Rotel RA-931 Amp, B&W 302 speakers and Mordaunt Short Avant 309i Subwwofer. All bought used, but in mint condition. I'll keep things as they are right now. I'm very happy with my amp and I was planning to buy a Nagaoka MP110 cartridge as my next upgrade. I just have to try find out if the arm and shell of my TT make a good combination with MP110. I think that's the "obvious" upgrade for my sistem right now. Maybe after this, i will think of buying a new amp, with a dedicated subwoofer output. By the way, if I upgrade my amp (buy a used one), will I have this issue with an older model like the Marantz PM66KI or a Yamaha AX500? I think these don't have a dedicated subwoofer out. Or should I only consider an modern model like Yamaha A-S501? Sometimes I'll get too confused about all possible variations! The Yamaha A-S501 or even the cheaper A-S301 (and many other amps - nowadays those subwoofer outputs are more common) seem to have an output to connect a subwoofer... .
A signal level converter as suggested is a very high impedance load and as such will have little to no effect on the outputs. However it will track output levels and enable the sub to change levels when the amp/receiver's volume is changed. IMO this is your best option with the gear you currently have. 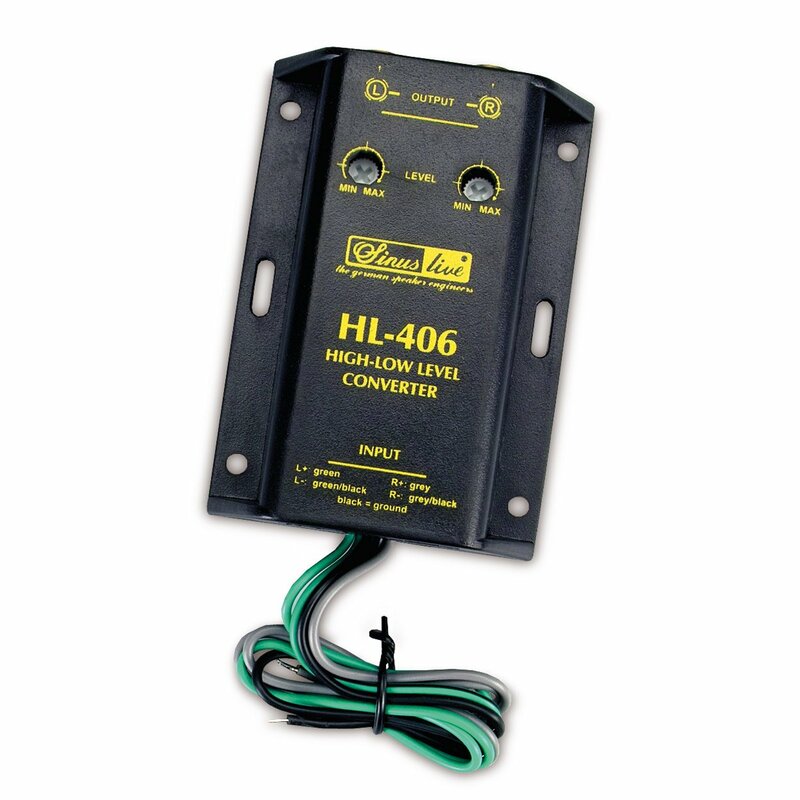 Anyone have any suggestions on the model or brand of these signal level converters? The cheap models on ebay are any good?